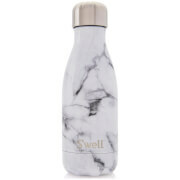 The Calacatta Gold Traveller Bottle from S’well will transform the way you carry food and drinks whilst away from home. Developed with innovative triple-walled ThermaS’well technology, the vacuum insulated, high-grade 18/8 stainless steel bottle keeps drinks hot for 12 hours and cold for 24 hours, even in the hottest of climates. Beautifully designed, the Calacatta Gold Traveller Bottle features an individual design imitating the natural veins found in the distinctive Italian gold and white marble and has a with a shiny, high-gloss finish. The BPA-free bottle has an extra wide mouth suitable for ice cubes, smoothies, soups and hot food and will fit in most standard cup holders. 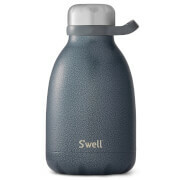 Perfect for refreshing water at work or in the gym, or hot coffee on the commute, in the car or on the school run, the Traveller bottle keeps all your favourite drinks at the optimal temperature while you are safe in the knowledge that you are doing your bit to reduce your use of plastic water bottles. 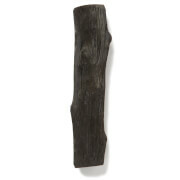 Dimensions: H: 20.5cm x Dia: 8cm. Capacity: 470ml.